The area near to Cambrian Wildwood was in the national news a few weeks ago with the story of Lillith the lynx, who escaped from Borth Wild Animal Kingdom and was subsequently shot dead, which saddened people locally and all over the world. Some people responded by saying they will never go on holiday to Ceredigion. Many comments on social media condemned the use of lethal intervention instead of tranquilizing the animal, and dispute Ceredigion County Council’s description of their actions as ‘humane’. Lynx in the wild have never been known to harm humans, so the panic over the escape of Lillith appeared to be somewhat irrational. To set this context, cows have killed 74 people in the past 15 years in the UK alone. These figures are not used to argue that all cows should be killed or kept in cages. The story also involved the killing of eight sheep on the farmland neighbouring the zoo. The farmer, Owen Jenkins, also farms an upland property neighbouring our own Bwlch Corog site. In an interview with the Farming Today programme on BBC Radio 4, Mr Jenkins made the very reasonable observation that – if the lynx had killed all these sheep – it is a crazy idea to re-introduce lynx to Northumberland, a proposal which is currently out for consultation. He also expressed his concern that the nature charity owning land next to his other property (that’s us) intends to re-introduce lynx. We have always been clear that it is beyond the scope of our project to re-introduce the native large carnivores – bear, wolf and lynx – and that we have no intention of proposing this. Our reasoning is that in this area there are very few natural prey and the landscape is dominated by livestock farming: it simply doesn’t make sense to propose the reintroduction of large carnivores to Wales. There are potential locations in Great Britain for the reintroduction of lynx: places with large areas of woodland cover, high numbers of roe deer, and not much livestock farming, for example the Weald of Surrey, Sussex and Kent, or Thetford Forest in East Anglia. This would of course require studies to ascertain if it is a reasonable proposition. Areas of Scotland have already been assessed in a study and found to be highly suited to lynx. We are of course disappointed with the uncharacteristically poor reporting on Farming Today on that occasion, in that they did not check with us about our intentions for lynx before broadcasting the item. We contacted them in the hours following the broadcast and hope that they will return to this topic with a more balanced and accurate report which will include Cambrian Wildwood. Returning to the sheep killed during the saga of Lillith the lynx, the reports in the newspapers that the sheep were killed by Lillith was premature at the time, since they were still having an autopsy to identify the cause of death. Later, the result of the autopsy was reported as ‘inconclusive’. Big cats kill prey by using their canines to clamp the windpipe, leaving tooth marks which identify the species of the predator; and they peel the skin back to expose the flesh. In other words, the signs of a lynx killing a sheep would be highly characteristic. Additionally, a sheep is a rather large prey for lynx which weighs 18 to 30 kg, and Lillith was quite a small lynx, while adult sheep weigh at least 45 kg. Lynx are more likely to prey on rabbit, or roe deer, if available, which weigh 10 to 35 kg as adults. Lilleth would also have been hungry and low on energy so wouldn’t waste energy on killing eight sheep in order to get a meal. Given these factors, it makes sense to look for other explanations for the death of the sheep. It is common knowledge that many people went out searching for Lillith with dogs. The nature of the sheep killing, involving eight deaths, strongly suggest a group of dogs as the cause. Why the autopsy is inconclusive is a mystery, as the signs of a sheep being killed by a dog should be easy to distinguish from a cat. We requested a copy of the autopsy report from Ceredigion County Council, but they have refused to release it on the grounds that this could jeopardise the Council’s case for withdrawing Borth Wild Animal Kingdom’s licence for certain animals, which is being challenged in court. A crucial twist to the debate on lynx re-introduction is the fact that some lynx are already living wild in Britain. The numbers may be low but it appears that some breeding is occurring based on the secondary evidence of credible and consistent witness reports. Other medium to large cats reported in Britain are leopard in their black or melanistic form, and puma, also known as cougar or mountain lion. Leopard and puma are similar in many ways and there were source stocks in Britain in past decades. They are both generalists with no specialist requirements or behaviours. They are rarely seen, even in their native lands, as they need to be stealthy as ambush predators. It appears that these cats manage to survive and breed, living secretive lives in our countryside, rarely conflicting with humans. Deer, rabbits, pheasants and pigeons are probably the mainstay of their diet and this type of game is abundant in the British landscape. If you want to know more about these animals, an excellent book is Big Cats: Facing Britain’s Wild Predators by Rick Minter, who has heard from over 1,000 witnesses in his past few years’ work on the topic. We hope to publish an article by Rick in 2018, and look forward to hearing about the second edition of his book which is due later this year. Another factor when considering the interaction of lynx and sheep farming is that lynx prey on foxes. It is possible that the presence of lynx would reduce losses of lambs to foxes and provide a net benefit to sheep farming, depending on other circumstances. In areas of Europe where there are plenty of deer, and sheep are not kept within woodland, sheep are very rarely preyed on by lynx. See for example the report from AECOM: ‘Cost-benefit analysis for the reintroduction of lynx to the UK’. 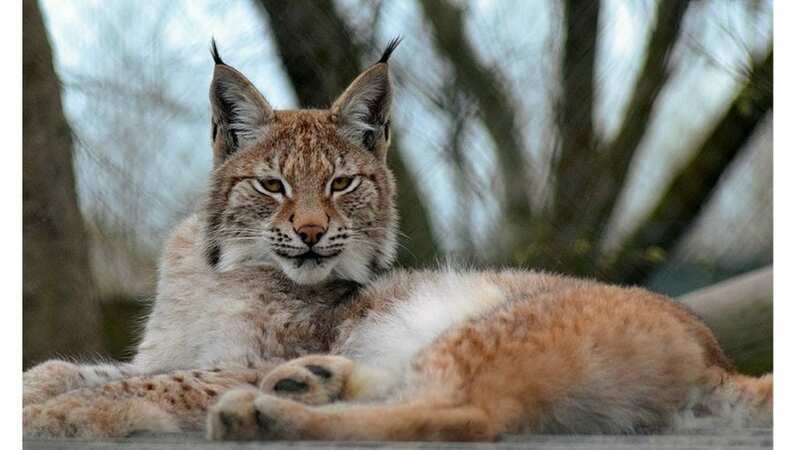 The story of Lillith the lynx strengthens the resolve of Cambrian Wildwood to invest every effort to making space for the return of wildlife at least to one part of the landscape, and to continue making the case for respect towards nature and other animals. It should be re-iterated that we are not planning to re-introduce large carnivores to the Cambrian Mountains. Such a sensible account of this most most dreadful event. The reaction of the media and authorities was just mindboggling. There’s no record of these animals ever causing any human fatalities across Europe but one would have thought a grizzly bear was at loose! We have such a long way to go to change public perceptions in the UK. From this article I have determined that you appear not to be an expert on either Lynx or foxes. You overlook the fact that if Lynx are reintroduced anywhere in mainland UK, they will sure enough colonise Wales in due course and you unquestionably accept the idea that other big cats live in the UK – where a more sensible jury is somewhat less convinced at this time. I am personally very much in favour of reintroducing Lynx, Wolf and Brown Bear for starters. Thanks for your feedback, Ralph. I am not an expert myself, but had alot of helpful advice from lynx experts Chris Johnston and Rick Minter. I provide a reference for evidence on lynx predating on fox. Rick wrote most of the content in the paragraph on big cats in Britain. As it says in the text, he has analyzed evidence from over 1,000 witnesses. His book ‘Big Cats: Facing Britain’s Wild Predators’ is a good place to start a review of the topic. Let’s just face the facts that British people love pets that they can abuse and control, but hate the idea of wild animals that have teeth that may bite their grand-daughters or kill the introduced pests like pheasants that ravage our wild woodland flora. This country is rabidly zoophobic, and such is the collective mindset against predators (lest they somehow attack us or our property) that certain members of the anti-wild animal collective find it easy to condemn a predator without facts. Maybe some do it for the lucrative compensation. Others do it out of ignorance. This week sees a report that finds all sheep killings in 2017 were from pet dogs and not wild cats. Prejudice at every level condemns wild animals as scapegoats to a more accurate truth that people are afraid of risk and change these days. “Conservation” is such a insightful word! We must remain static is it’s deeper meaning, and as such even ardent conservationists fear the change that drives evolution, fearful perhaps of even their control over their own environment. That lost connection to our heritage and to a bond with wildlife is difficult to rediscover in our ecologically ignorant British population. Keep up the good work guys, and I bet that once Lynx are re-wilded into our conciousness, they will become treasured and once again seen as important aspects of not just our ecologically sensitive countryside, but our sensitivities of what it means to be a human animal in an evolving planet. An accurate assessment of the general British attitude towards animals. I do hope you’re right, Dr Slater, and that lynx (and other “wild” species) will one day be accepted and “treasured” in the UK and worldwide. If you knew that a wild ‘big cat’ was likely to to visit your garden or local pathways where your children (or pets) were playing, especially as pumas/leopards tend to drop out of trees, you would think differently. (As do Indians in tiger country where children & adults get eaten, usually by less able tigers) They do exist in the UK. My sister, a lot of years ago the wife of a Welsh hill farmer, South Wales, was totally shocked speechless to see a black panther/puma pass an open gateway not many yards away from where she & her husband were stood in the farmyard. By the time she’d recovered to say something it had disappeared. Her children were not allowed to run free unsupervised again around the farm, which was extremely inconvenient. She also used to work in a country park in the area, & was told by a shocked jogger one morning that he had felt ‘watched’ as he ran along a path in the wooded area. When he turned to look, there was a very large fawn-coloured ‘big cat’ lying along an overhanging branch. It suddenly became a no go track for runners! I live in the Yorkshire Dales, & (years ago) a horse I was exercising on a hillocky field bordered by woods, suddenly bolted & took a lot of calming, & remained extremely nervous to visit the same area, where there was a stream in a wooded nook. The horse lived out 24/7 in nearby fields & was totally used to all the usual wildlife (badgers, foxes etc) passing by at night, & farm & air traffic. A few days later, another pony bolted back to the yard with its child rider . She was terrified, & said they’d come across a large black creature crouched on a stone wall alongside a wood. She said it was big as a labrador, but with a very long tail & small ears, & it screamed at them. Around the same time there was a newspaper report of a local policeman seeing a very large black ‘panther’ shaped/sized animal crossing the bypass around 7am , as he went to work. I feel sure these creatures move around a huge area, & settle in the most human-scarce areas. Just because you personally don’t see them doesn’t mean they aren’t about. Most UK residents have never seen a living wild hedgehog, weasel, stoat or a badger. Wild animals are necessarily experts at not being seen. And, just as domestic cats usually tackle creatures a lot smaller than themselves, so can a ‘big cat’ happily survive on creatures like rabbits, which are certainly plentiful everywhere. I suspect these big carnivores are aware that leaving large carcases about would attract unwelcome attention in a human-populated area. Wild creatures are many times more observant than humans, in my very long observation.